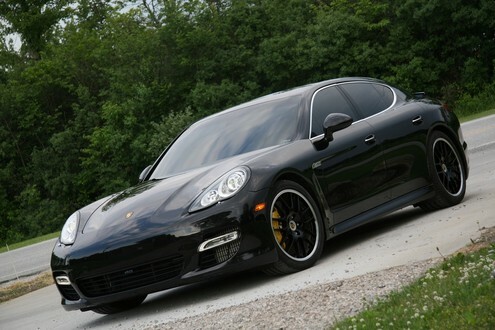 The guys at Switzer Performance released a new power package for the Porsche Panamera Turbo. The massive 4.7 liter biturbo engine in this car has been tweaked with bigger intercoolers and optimized engine management software. The result is a massive 680 hp. That power translates into a 0 to 100 km/h time of 3.5 seconds and a top speed of nearly 350 km/h. You don’t get much in the way of style though, just a new set of black wheels and tinted windows. And that’s about it.